On Tuesday 8 February, during the World Social Forum, Caritas Internationalis held a workshop on migration as a consequence of climate change. 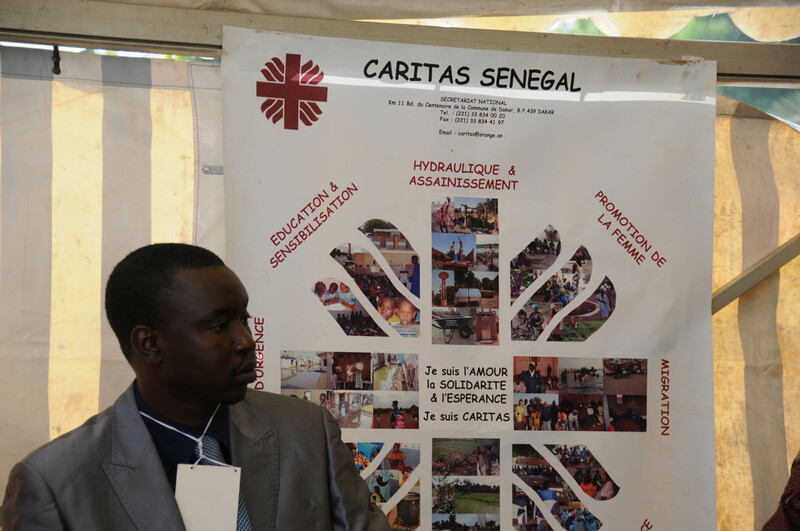 Caritas members will return to this issue in their countries and contribute towards solutions. “Eighty per cent of Niger’s population are crop farmers. However, recently the rainy season has been getting shorter. Currently the north of the country only has one month of rainfall per year, which has a huge impact on agriculture and prevents it from developing. This has led many people in rural areas to move to the country’s centres of population, and even to leave Niger in the hope of finding more favourable places for farming. Therefore, the northern regions of Niger are emptying out and areas in the south are over-exploited. Livestock farming also takes place in Niger. However, stockbreeders in the north have been forced to leave their villages due to a lack of water points and grazing, which has led to extremely strained relations between crop farmers and stockbreeders. NGOs are encouraging people to seed early, as the rainy season is no longer guaranteed. “Bangladesh is highly vulnerable to climate change as it is located on the world’s largest delta. The country also has a very high population density: 1,000 inhabitants per square kilometre. Our country is frequently hit by cyclones and flooding. Rising sea levels are also threatening us. Scientists estimate that by 2030 at least 3 million people will have to be displaced as a result of rising seal levels. And this exodus is already underway! Recently, 700 people have left three villages in the south of the country within the space of one year. Production of rice and other crops has declined as a result of high levels of salinity in the soil. Biodiversity and other natural resources have been weakened by this. Poverty levels have also risen. The north of the country, on the other hand, is suffering from drought due to the drying up of a river that we share with India. The water table is lowering and vegetation decreasing, which makes it more difficult for farmers to grow their crops. Bangladesh also has the largest number of landless peasants. At least 60 percent of the population are landless. Therefore, food security is a big problem. Finally, climate change also has negative effects on health: skin problems, dengue fever, malaria, cholera, etc., caused by encroaching salinity in the water. “Zambia is strongly impacted by drought. In the south, farmers and communities only get 500 to 600 millimetres of rainfall per annum. Therefore, they’re obliged to move from this area to the northern regions where rain is abundant. We’re also subject to flooding, which affects crops. These floods also occur in urban areas. Residents are thus prevented from sending their children to school and are unable to leave their homes to go to market. They’re obliged to leave their homes and live elsewhere. In 2010 the government evacuated around 1,000 families. Given the cost of such an undertaking, people had to find accommodation using their own funds. “In the last 20 years, Cambodia has experienced drought, floods, storms and cyclones. The most difficult is drought, which lasts for several months. In addition, during the rainy season rivers burst their banks resulting in flooding of fields, houses and roads. Therefore, the 80 percent of the population who live off farming are no longer able to grow their crops properly. Some families are forces to sell their land and migrate within their district or to a neighbouring province, or even to another country such as Thailand. Such migration often leads to people trafficking, including slavery and prostitution of women.